St. Paul’s Lutheran Church & School has a wonderful tradition of congregational song. St. Paul's Music Ministry welcomes musicians of all ages and backgrounds to express their faith and praise God through music. From the beauty of congregational song to traditional choir anthems or more contemporary styles, we celebrate the diversity of God's gifts in our congregation. Learn more about the St. Paul's Chancel Choir, Bells of Praise, and Rejoice Worship Team. 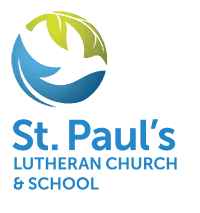 Youth and adults of all talents and abilities are encouraged to explore the opportunities offered to them through St. Paul's.